So we’re going to need a little disclaimer here and ruining the surprise element somewhat. As lovely and helpful some writers may be inevitably it happens that despite committing to something they can’t deliver. Given the late notice, there were little other possibilities to arrange for an alternate writer so it fell to me, hisviks, to write something in its place to avoid someone going without a gift. So despite having announced my retirement from writing a few months back I felt it important enough to contribute (even with the possibility of misgivings about utilising the platform here for my own works unfairly) because ciasteczko is probably our most prolific contributors with the story locator queries and I didn’t want to see her go without. She regularly checks in on her own accord and having sourced the missing story often far quicker than we’ve even managed to look at the query. She’s an invaluable contributor to this Directory and I do sincerely hope you’ll enjoy this tale, ciasteczko. Unbetad due to time constraints. Sookie heaved a deep sigh, smoothing out her dress for the third and undoubtedly not the final time. Comfort a foreign thing right now, her dress suddenly felt all wrong when she took in the surroundings enticing behind the velvet rope. A fact confirmed by the blonde hostess as soon as she crossed the impressive threshold seeking entrance, eyeing her distastefully with a demonstrative wriggle of her nose. “Are you lost?” she posed with a raised brow that indicated it wasn’t much of a question. “I was hoping,” Sookie started, only to be hastily cut off. “Let her in,” a deep voice rumbled from afar, only barely audible to the telepath. A set of pointed glares were exchanged alongside a few hisses in a language she couldn’t understand before that ominous red velvet rope was moved aside, ever so slowly. “Thank you,” Sookie replied nervously, only then taking in the luxuriously furnished lounge that was populated by the most beautiful assortment of people she’d ever seen together in her life. It was certainly brighter than she expected and the floors far cleaner than any ordinary night at Merlotte’s. “I didn’t come here for that,” Sookie interrupted. “Maybe I should just leave,” she whispered, her nerves suddenly overtaking her. Sookie didn’t dare refuse and followed the tall blonde vampire to a room at the back, barely having taken in his face, hoping that Pam’s dictated rules were not a simple disclaimer to absolve them from any liability. “What can I do for you Ms. -?” he asked after offering her a seat. In a stark difference to Sam’s office, it was bright and clean, administration perfectly organised on shelves in between a few tasteful decorative objects. 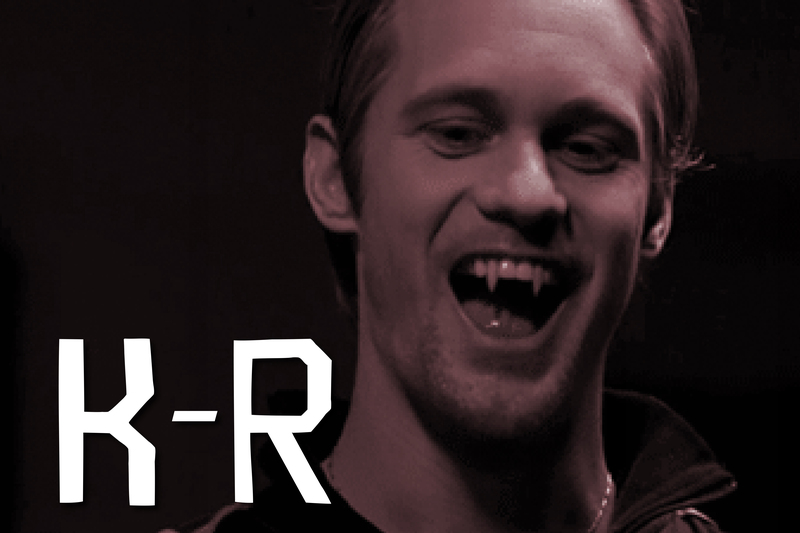 Just like the man before her, this was the farthest thing she had imagined of this vampire club. “Stackhouse,” she offered along with her hand. “Sookie Stackhouse.” With a gasp she pulled back her hand in a panic, only remembering in that moment that under vampire etiquette that was considered rude, however, he’d already latched onto the limb depositing a soft kiss to her ring finger while taking an extended sniff that only further compounded her nerves. “I apologise,” she stammered out when she finally managed to retrieve her hand. “For my name?” he grinned. “Oh no, Mr. Northman,” she amended, flushed as red as the little flowers on her dress. “Call me Eric,” he indulged, the disarming smile only falling wider. “Eric, listen I’m really not interested in that,” she said, becoming positively flustered in the process. “You know,” she replied with a roll of her eyes, that firmly fell to the floor when she caught his continued amusement at her. “I really don’t,” he chuckled, thoroughly enjoying watching her squirm. “Are you going to make me spell it out?” she huffed. “If you think a high school education qualifies me a scholar than by all means,” she sassed back. “No,” she laughed, suddenly her eyes went wide alerting him to attention within the next second. The words were stolen from her mouth with the arrival of Pam who held a sleepy boy in her arms who had voiced the warning before her. The two vampires exchanged a single worried glance and without much warning Sookie was grasped into Eric’s hold and whisked out the back door and all she could see was black. “Momma, she’s awake!” Hunter cried out excitedly beside her while Sookie slowly regained consciousness in the backseat of Pam’s minivan. “Where are you taking me?” Sookie stammered against the restraints of her seatbelt, finding herself surprisingly not as constricted as assumed. “It’s on kiddie lock,” Hunter informed matter-of-factly in an eerily similar tone as his vampire ‘mommy’ while she contemplated yanking the car door open to escape. While he failed to truly answer that question, a slight nod seemed to be made. “Not to Pam,” he finally acquiesced. 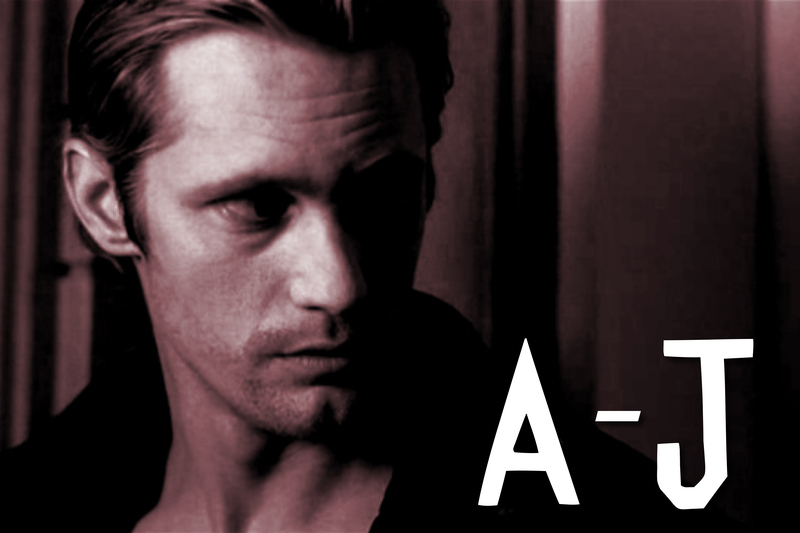 “Or you,” Sookie stated rather than asked. Eric tried to hide the proud smile but Sookie has spotted it regardless. “So you’ll stay with us, the little one vouches for us after all,” he hinted with a wink. “I’ll think about it,” she conceded warily. EHM… THANKS TO ME? I HOPE YOU ENJOY IT ciasteczko! THERE WILL BE A FEW MORE CHAPTERS TO FOLLOW. MISSED A POST? YOU CAN FIND ALL THE POSTS OF THE ADVENT CALENDAR SO FAR, HERE. FOLLOW OUR TWITTER FEED AND/OR FACEBOOK PAGE TO KEEP TRACK OF ALL THE UPDATES FROM THE WRITERS IN THE FA DIRECTORY. BOTH PAGES ARE VISIBLE TO ANYONE WITHOUT LOGGING IN/SIGNING UP, EVEN WITHOUT AN ACCOUNT TO EITHER SOCIAL MEDIA PLATFORM. Interesting I hope there is more I do love your writing. Though you are scaring me, I don’t want Sookie to go to QSA. On pins and needles. There is indeed a bit more. Wait and you shall see where Sookie ends up. I really want to know how Hunter ended up with Eric&Pam!?! Thanks for this story hisviks, I’ve missed your writing. It was briefly mentioned here, he was found in Hadley’s apartment after her not so successful turning. OMG! Thank you for the wonderful gift !! My favorite author wow! thank you very much ! You’re welcome! You’ve saved us so mut work, you more than deserve it! You’re going to stress me out with this one, I just know it! Lady, you have no idea how much you are missed and appreciated. You do more than any of us. I just regret that I can’t bust in and arrange for a calendar gift for you. And for ciasteczko–thank you for making my story locator job so much easier! Eric is not going to give Sookie to Sophie-Anne. Hunter needs her and she is family. I love that he is going to get Jason also. Might smarten the boy up. You know I really did mean it when I said I’d stopped writing but it appears in an emergency the hands are still willing to type 😀 Enjoy it while it lasts! Aww, Momma Pam. So cute. There’s no way Eric’s giving her to SA. I reckon he wants his own little telepath to love, without the Lego torture. Looking forward to more of this. Thanks to all of you for this yearly cornucopia of stories. It is truly an amazing gift for us all. Good on you for stepping into the breach and delivering a story for someone who would have otherwise missed out. Of course it is awesome – goes without saying – and now everyone will start harassing you to write again! I won’t. I promise. Not that I don’t want you to but this is clearly an emergency. Loved the irony of the title. I am sure you are a substitute no-one would complain about! The twist at the end is great. Also Pam as Hunter’s mum. Chanel is so tricky to say. I enjoyed all the little differences between the usual E & S fare and your reimagining of it. Brilliant! (Oh and ‘Good on you’ isn’t bad English, it is the Australian colloquial idiom…Which could be the same thing as bad English…)Maybe I should just change it to well done? Yes, well done! Ps Chanel isn’t hard to pronounce at all if you’re raised by Pam. That Hunter really ought to know better. Tsk tsk. Damn! Those Brits! *sigh* Never mind. I think the correct Aussie vernacular may be ‘good on youse’ but alas I am too much of a nerdy swat to debase my beloved English language… Oh wait, not mine… Borrowed from the Brits too! Argh! Yeah I guess Hunter’s had those ‘Sh’ sounds drilled into him. Just thinking of my own son who says ‘ooes’ for shoes, but he was not raised by Pam so therefore has not had access to her superior elocution. Maybe I should get Pam to give him some lessons. She can make up some charts of all the best designers and get him to practice. Such a vital life skill for a toddler. Not the Brits! The English! They’re very eh… touchy about all that now. Get that tater tot some elocution lessons ASAP! If he can’t pronounce shoes how ever will he make it in this cruel world? Shoes are everything! Or so Pam assures me (my feet agree too). Yes I despair for my son’s future. 17 and 3/4 months old and he can’t say ‘shoes’! What is the world coming to? Luckily Pam has agreed to take him on though as a personal favour. Wow! Talk about a twist!!! Everything seemed like it was going great until that last paragraph. Stunned and cannot wait to see what happens next. Miss your stories and a big thank you for filling in and offering us such a great treat. Oh yeah all smooth sailing until hisviks throws a wrench in the mix 😱 Have you not learned better by now? If only… Pam seems pretty determined to keep her own little telepath to herself. So excited! Can’t wait to see where this goes! You jumped into the breach at short notice to ensure that a valued contributor received her story gift so you have nothing to apologize for. Thank Odin that you saved the day AND with such an intriguing start to this tale with dear little Hunter as the apple of Pam’s eye. What a creative plot…but that is to be expected from you. Mommy Pam? Eric stumbling over Lego’s? Your fertile mind never fails to rise to the occasion. Can’t wait to see how this turns out. Special fangbanging content every day till Christmas! 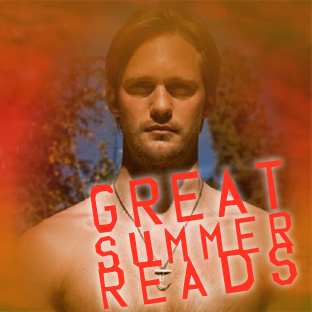 Click to discover our selection of Great Summer Reads by our blog contributors. 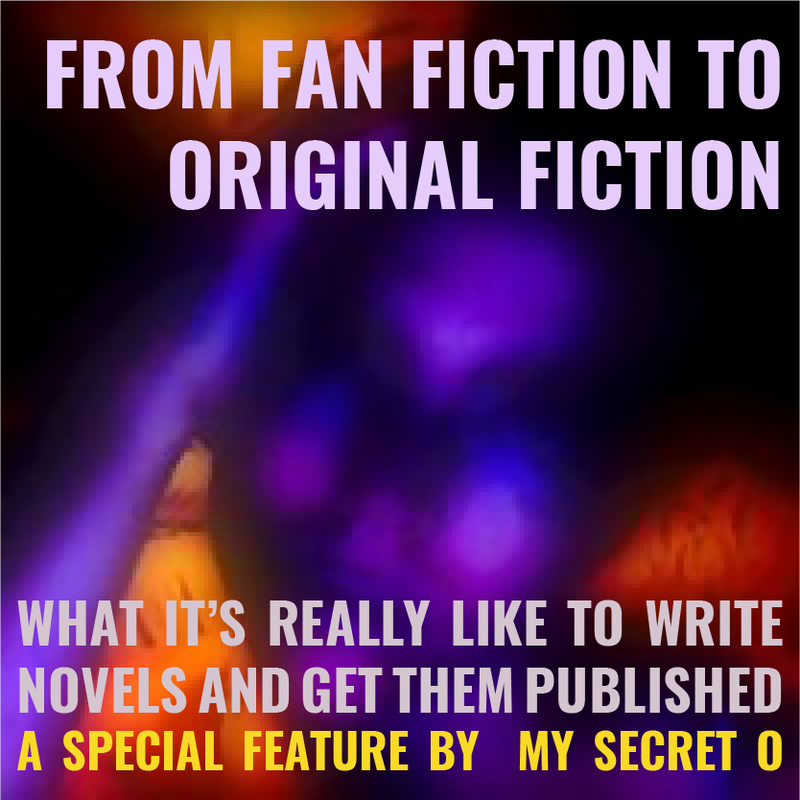 Click to read more on My Secret O's journey about becoming a published author! Contact site admin for questions, issues or if you're a writer and would like to take to be included in the directory.